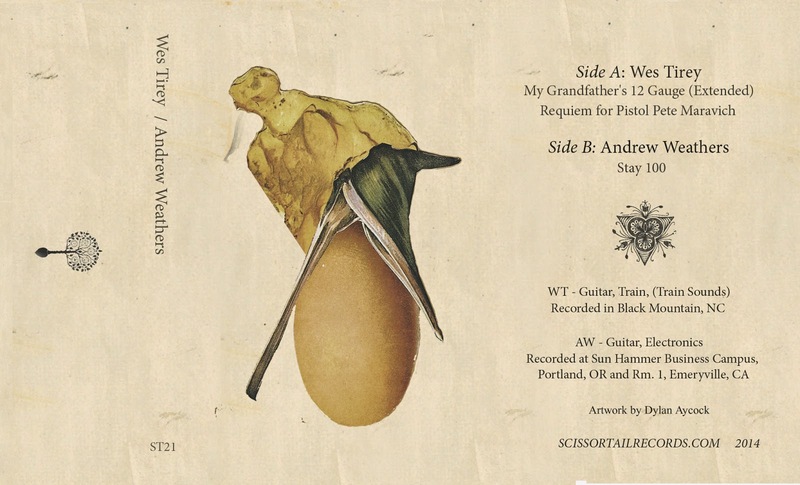 Wes Tirey has teamed up with North Carolinian Andrew Weathers to put out an experimental folk/drone split on Scissor Tail Records. Tirey’s track, ‘My Grandfather’s 12 Gauge,’ is the shorter of the two, despite clocking in at over ten minutes. Listeners familar with his traditional sound will be delighted with the intricate guitar work that conjures images of a dusty, all-American west. 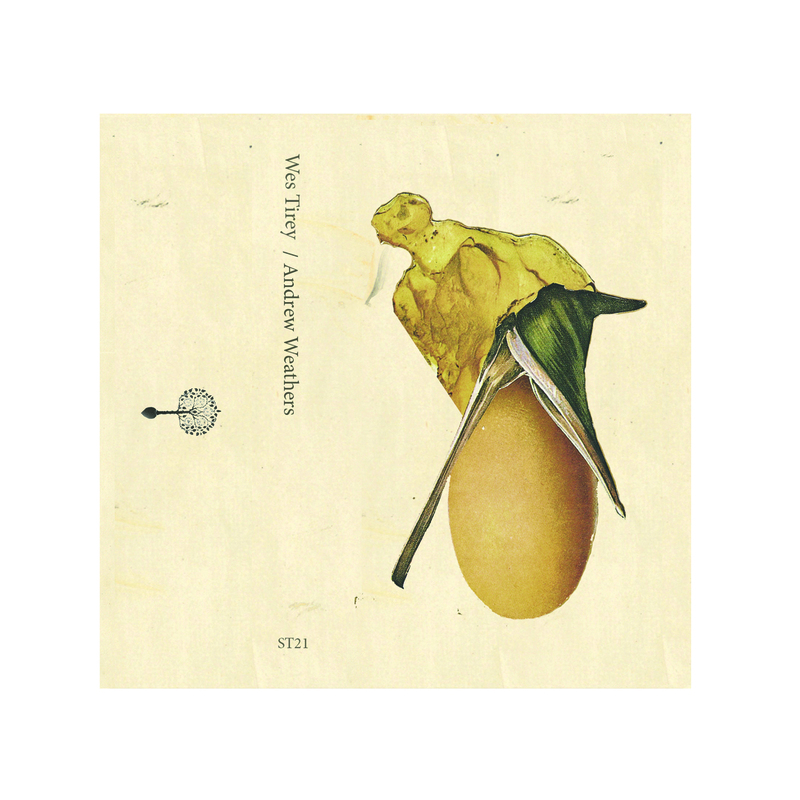 Weathers’ ‘Stay 100,’ which notches an impressive twenty minutes, is more of an electronic folk song, with his guitar work supported by gentle drone. It’s interesting how both tracks play off one another, with the slight changes highlighting the progression of conventional folk music. It would be interesting to see the idea taken further, starting with Tirey’s classical finger-picking and eneding with electonic and/or rock music, with each track tracing a step in th evolution and development of traditional folk music.